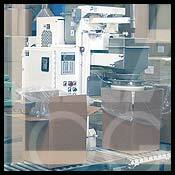 Another requisite for being a well-rounded logistics company is the inclusion of Pick-Pack services. At Leach, we’re experienced in the art of assembling Pick-Pack lines that are flawlessly efficient. Items are shipped to us in bulk and are then broken down into individualized, customized orders. From that point we handle the distribution of those orders. Whatever size your needs demand, we’ll pack to fit the order. It’s a service that helps reduce labor and shipping costs down the road.